Environmental Volunteers, a rapidly developing organization, needed more efficient operations to keep up with the growth specifically with their educational programs and growing inventory of materials. It was imperative that this information be stored in one place so operations ran smoothly. 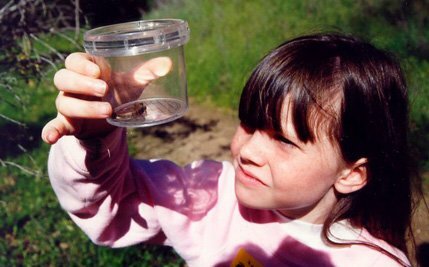 Founded in 1972, Environmental Volunteers, promotes the understanding of and responsibility for the environment through hands-on science education for children. Environmental Volunteers trains volunteers to educate children in grades K-6 on different environmental topics in the classroom. With 100 volunteers and 500 school programs a year, Environmental Volunteers needed to get all of their data about their volunteers and school programs into one location to get a more a more precise and clear view, which would improve the organization’s overall business operations. Environmental Volunteers engaged Swift River Consulting to migrate their data to Salesforce and customize their salesforce instance to streamline operations for their education department. They chose Swift River Consulting because they were able to provide the level of customization that Environmental Volunteers needed. Swift River Consulting developed an online system for volunteers to sign up for the school programs and allow the volunteers to access information about the programs immediately. Additionally, Swift River Consulting moved their paper based check-out system for their resources and materials to online. Now volunteers could reserve learning kits and other educational materials online and avoid any potential issues.